The Berks County Bar Foundation, based in Reading, PA, and its attorney members were doing good work in the community but had some identity challenges. Many people were unfamiliar with their organization. People who knew of the foundation were often confused about what it was and what they did. A weak identity did not help the foundation reach a number of their goals. With more than 400 Berks County nonprofits, the Berks County Bar Foundation and member attorneys needed to clarify and strengthen its message for growth within the community. The Strategic Brand Analysis (SBA) revealed a number of issues. Based on research, professional attorney interviews, community leadership interviews and a competitive industry review, CrossRoads Studios not only raised the bar — they removed the bar from the previously named Berks County Bar Foundation. The name evolution to Law Foundation of Berks County eliminated some previous confusion and more clearly represents the organization. The shortened essence statement, “Looking Forward… Giving Back” rightly focuses on lawyers as constructive citizens with an interest in practicing good deeds within their community. CrossRoads Studios evolved the previous nonspecific skyline logo to Reading, PA’s unique buildings, historic Pagoda and Schuylkill River, helping connote a solid presence in Berks County for future growth. 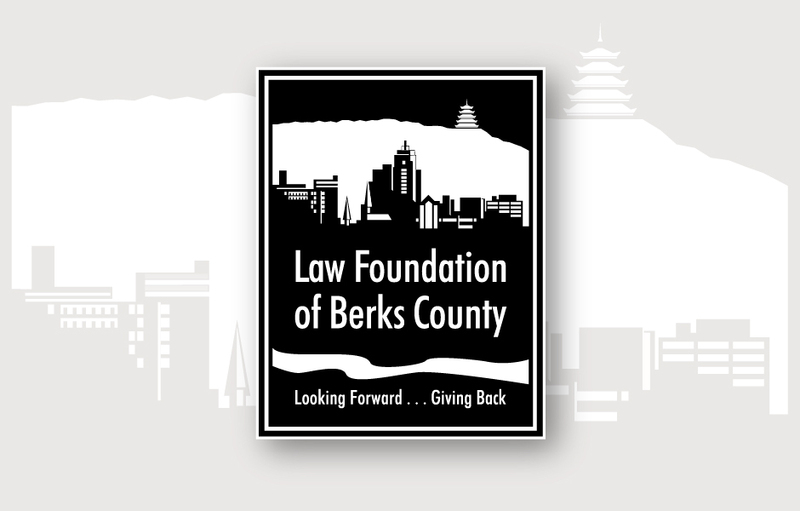 CLIENT NOTES: The Law Foundation of Berks County is a nonprofit organization supporting charitable and law-related projects in Berks County, PA.